PRICES: Check our Rates and Reservations page. 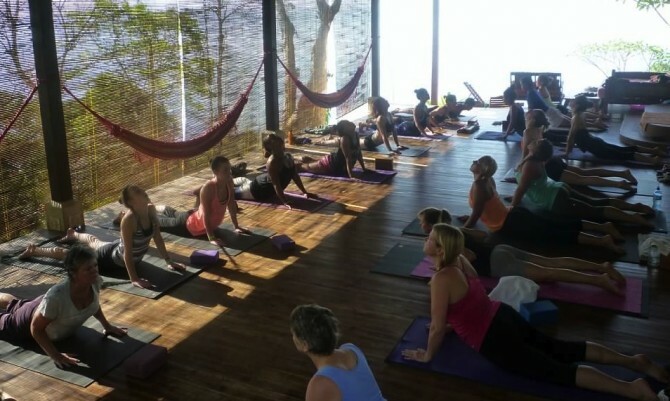 PACKAGES: Try one of our many Yoga Retreats. Yoga & Adventure, Yoga & Rejuvenation, or Yoga & Surfing. See more info on our Anamaya Retreat Packages (ARP). WORKSHOPS: There will be two special workshops offered to our guests this week. A Partner Yoga Playshop, and a Thai Massage Workshop. Prices for each individual workshop is $30, or a package price of $50 for both. Please see below for more information about the workshops. Yoga found April one day when she was looking for a morning dance class after having relocated to a new area in 2001. Since that day yoga continues to awaken and enhance every aspect of her being. 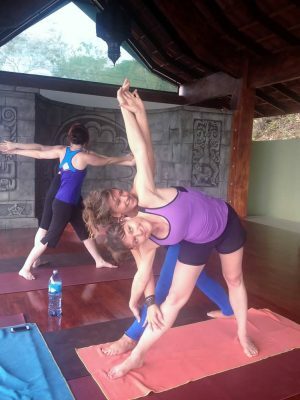 As April deepened her practice, she learned more about the history, philosophy different teaching styles of yoga and gravitated towards hot, vinyasa flow, and restorative. April has always loved the art of movement as a dancer and is grateful having added yoga into her life. In 2011 she opened Isvara Yoga in Murrieta, CA. She wanted to create a friendly and diverse community where people feel empowered to embrace and accept their unique journey; tune in and chill out while cultivating a life they love both on and off the mat. April is passionate about sharing the gift of movement through yoga and community. Her classes are creatively sequenced using imagery, weaving in alignment and always allowing room for grace, acceptance, smiles and yes, laughter, after all it’s just yoga. Yoga is about the journey and deepening the intimate dialogue within your body in a safe, non-judgmental and enjoyable environment. April loves to connect with each of her students individually and get to know their story and how they arrived on their mat. Everyone’s journey is unique and April enjoys sharing that sacred time and space helping re-ignite and re-awaken the flow of life force, breath and energy. April is a Yoga Alliance registered E-RYT 200 teacher and trainer and 300 RYT Advanced Master Yoga Teacher. 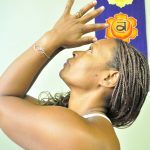 April loves to teach, share and learn with aspiring students wanting to deepen their practice and soothe their souls through in depth studies. As an ongoing student of yoga, it is important for April to continue to study yoga, it’s healing modalities and concepts to evolve, expand and yoke her practice; to be inspired by amazing teachers and healers and be able to share the “juicy goodness” of yoga with her students. Come open to play, expand your heart, disconnect to reconnect through movement and community. 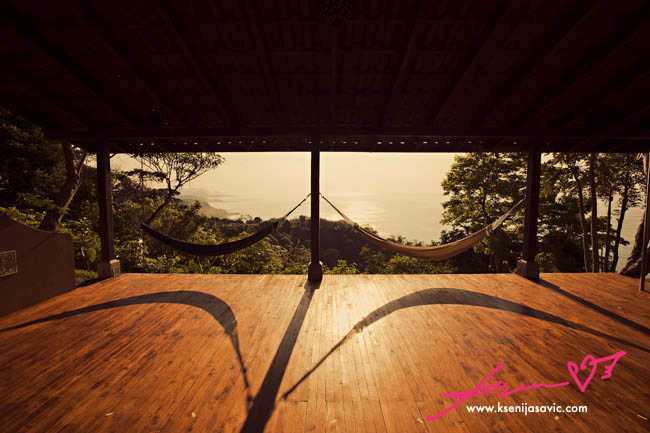 Join April in Costa Rica at the beautiful and exotic Anamaya Body Mind & Spirit Resort August 8-15, 2015. ← Coconut Milk in your Coffee?